Aston Martin is proud to announce its leading role in world renowned designer Tom Dixon’s forthcoming Multiplex event hosted in The Old Selfridges Hotel, London. Staged to coincide with four of the most important events in London’s creative calendar – London Fashion Week, the London Design Festival, the BFI London Film Festival and the Frieze art fair – Multiplex will bring together design, technology, fashion, film and interiors to explore how the future of retail might look, sound, smell, taste and feel. The luxury British sport car maker’s participation in the pioneering event places Aston Martin at the heart of future retail design and innovation. 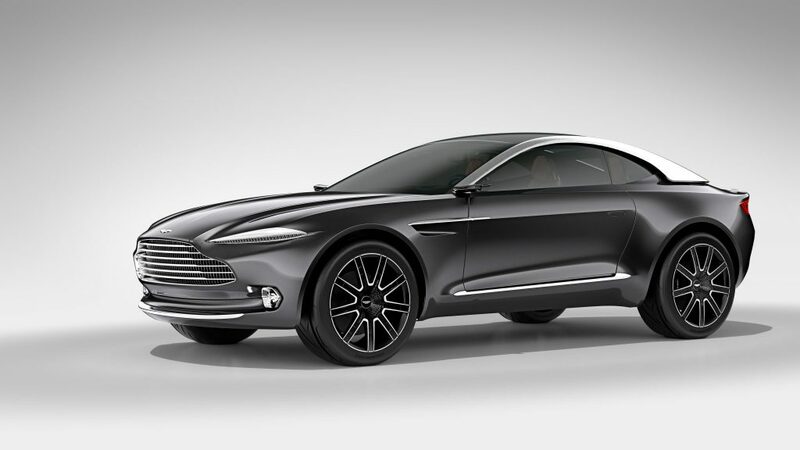 Leading the brand’s extensive presence at Multiplex will be the Aston Martin DBX Concept. Created to defy conventional thinking about the luxury GT segment, the DBX Concept widens the appeal of the iconic British luxury brand and reaches out to a more diverse global audience than ever before. Imagined by Chief Creative Officer Marek Reichman and his team at the brand’s global headquarters in Gaydon, Warwickshire, the DBX Concept showcases not only cutting edge engineering but also a major evolution of the British brand’s world-renowned and highly-regarded design language. Capable of accommodating four adults in comfort, the DBX Concept sees opulence and cutting edge style go hand-in-hand thanks to a unique fusion of high luxury and advanced technology. These characteristics, allied to the ingenious use of unconventional materials and finishes inside and out, further broaden the appeal of Aston Martin. The DBX will compete for visitors’ attention with fascinating Aston Martin colour and trim displays along with sketching, clay modelling, badge enamelling and leather trimming demonstrations. Away from the Aston Martin presence, visitors to the event will be able to explore departments dedicated to technology, home, fashion, beauty, jewellery, as well as a food hall. Aston Martin Chief Creative Officer Marek Reichman said: “It seems entirely fitting that a brand with such a rich creative heritage and renowned luxury persona is a key feature of the Multiplex concept. Multiplex creator Tom Dixon said: “The Multiplex is a prototype shop for the future, a multiple stage for new ideas.